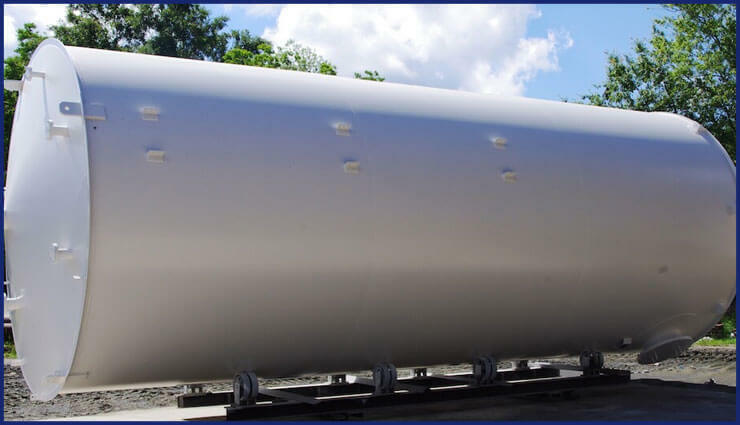 Nickel Alloy Special Metal Lining on Tanks Manufacturer, Nickel Alloy Special Metal Lining on Tanks, Nickel Special Metal Lining on Tanks Supplier, High Nickel Alloy Specialized Metal Lining on Tanks, Nickel Special Metal Lining on Tanks Exporter in Mumbai, India. Nickel Special Metal Lining on Tank is actually a well improved composite construction and a good way of equipment fabricating. They are having high erosion resistant liner and corrosion resistant liner. The wall assembly is consisting of the base metal layer that is in addition to corrosion resistant material layer. The weld fusion joining corrosion resistant material layer is providing the smoother surface in the layer of corrosion resistant. Tinita Engineering is an industry that is fully involved in taking full care of the needs and requirements of the customers. The industry is working with full efforts and dedications that is assuring in easily satisfying demand of all customers. They are offering excellent value-added and sales after services to the buyers to maintain long life relationship and have more deal and profits. The product is guaranteeing in bringing out various good features. These are the high tensile strength, high durability, high performance, high flexibility, high dimensional accuracy etc. Also it is having features like anti-corrosive in nature, corrosion resistance ability, withstanding heavy loads and high temperature. 200 Nickel Special Metal Lining on Tanks Stockist, Nickel Alloy 201 Special Metal Lining on Tanks, Nickel Alloy 200 Special Metal Lining on Tanks, High Nickel 201 Special Metal Lining on Tanks, Nickel 200 Special Metal Lining on Tanks, Nickel 201 Specialized Metal Lining on Tanks Manufacturer in India. To the buyers on demand, several essential documents are provided. These are packaging list, certificate of origin, guarantee letter, raw material test report, material traceability report etc. Additionally, the test certification is too provided like lab test report, third-party test report and buyers report. The inspection by the third-party agency or expert representative is invited to check and ensure all about the smoothness of the working in the industry. Now, you can now easily deal with Tinita engineering as they are ever ready to serve you better. Tinita Engineering (P) Ltd. exports nickel & Nickel Alloy Special Metal Lining on Tanks with ASME 'U' stamp to SAUDI ARABIA, UAE, KUWAIT, QATAR, OMAN, IRAN, UNITED STATES OF AMERICA, UNITED KINGDOM, AUSTRALIA, SOUTH AFRICA, MEXICO, TURKEY, FRANCE, EUROPEAN UNION, NEW ZEALAND, BAHRAIN, OMAN, YEMEN, LEBANON, SPAIN, INDONESIA, MALASIA, LEBANON, IRAQ, IRAN, EGYPT, MADAGASKAR, SRI LANKA, DENMARK, POLAND, ITALY, BRAZIL, SINGAPORE AND NETHERLANDS. If you have any Inquiry in regards to Nickel & nickel alloy Special Metal Lining on Tanks please contact us on +91-22-27644040 or email us on tinita@tinita.in. Our Experts can guide you on the same and inform in regards to other various metals fit for your applications. Tinita Engineering Pvt. Ltd. is a high quality equipment fabricator for exotic materials such as Titanium, Tantalum, Nickel, Alloy 904L, Hastelloy B & C, Monel, Inconel, Alloy 20, Zirconium, Duplex Steel 2205 & Super Duplex 2507.